Looking ahead to the start of a new basketball season later in the summer, Reading Rockets has used the opportunity to reflect on another bumper year for the club, as it celebrates its 21st year. At its recent annual presentation awards evening, held at the Berkshire Conference Centre, councilor Sarah Hacker and business consultant Nick Humby presented the senior awards. Players from the men’s and ladies’ senior teams handed out the junior accolades. Over 300 guests packed out the Princess Suite for the occasion, with Rockets very own Operations Director, Ben Fisher, on MC duties, bringing fun and humour among the serious presentations process. Chairman Gary Johnson set the scene, challenging the members and players in this ‘coming of age’ 21st year for Rockets, with some history of the club. This was coupled to exciting developments and challenges about engagement and vision with Councillor Hacker, who outlined sport in Reading and facility development in and around the town. Rockets Head of Community Development, Steph Johnson, had everyone on the edge of their seats as she outlined the amazing work the players and community coaches deliver as they serve the communities. Projects and specialist programmes that serve the able bodied, the disadvantaged, the deaf, those on the autistic spectrum, the wheelchair bound, those in primary, comprehensive, independent and special schools. Programmes such as Reach Me, Play Unified, and A.S.P.I.R.E. coupled to Rockets healthy lifestyle programmes and its Young Coach Education Academy. The Chairman had spoken of the Special Olympics and its focus on the joy of sport and then announced that Steph had been appointed as the head of the basketball programme for Berkshire for this movement. Director of Coaching and Trustee, Matt Johnson, spoke on the growth and goals of Rockets charity, Rockets Sport and Educational Foundation, together with outlining Rockets A.A.S.E (Advanced Apprenticeship in Sporting Excellence), college and Universities programmes. Then each Head Coach of all the age groups shared the experiences and successes of a magnificent year, volunteers received gifts. Finally, the Margaret Kenderdine Award went to the Colley family and Coach of the Year to Ben Fisher. This weekend’s top of the table clash against league leaders Team Solent Kestrels at Bohunt School, Arborfield RG2 9ND has necessarily been brought forward to Rockets’ regular tip time of 5pm (not 7pm as previously announced). Reading Rockets (14-7) will look to extend their six game winning streak this weekend as they take on the favourites for the NBL Division One title in the shape of National Trophy winners Team Solent Kestrels (17-3) on Saturday evening at Bohunt School, 5pm tip-off. The Rockets recorded two vital wins in the hunt for a top four finish in the division and home court advantage in the play-off quarter finals by beating Leicester Warriors in overtime on Saturday night 105-102 before returning to Reading and capturing a 109-87 victory against Derby Trailblazers. After their recent National Trophy success, Team Solent Kestrels are also one of the form teams in the league having won their last seven games and 13 out of the last 14 in league play. The two teams have met three times already this season in the National Cup, National Trophy, and league with Saturday’s visitors in charge of the series 3-0 having captured an 89-67 win in the quarter-final of the National Cup, a 93-78 victory in the National Trophy, and a 70-59 success in league play most recently. Team Solent have been excellent this season and Coach Matt (Guymon, Team Solent Kestrels’ Head Coach) has done an exceptional job in only their second year back in the league and we know Saturday’s game will be a very hard fought encounter. They have strength and depth at every position but in our last game against them we did a much better job and I believe that with that and our improved performances we have a great chance of securing another win. It is going to be tough and we are really going to need our fans at Bohunt but it should be a really exciting game and we cannot wait to play! Rockets go into Saturday’s match-up hoping for some better news on the injury front to their Under 19 trio. Forward Alex Drincic has been out of action with tendonitis in his foot but returned to training earlier this week and should be available to play but will be a game time decision. Spaniard Adrian Nosa Castillo is still carrying an ankle injury and will also be assessed before the weekend with his Under 18 team also in action on the same day but it’s likely the 6’4 forward will miss out. His fellow countryman Iñigo Perez Baena will also be a game time decision after corrective surgery on a broken nose. The recently turned 18 year old had manipulation on his injured nose he sustained in an Under 18 game two weeks ago but is keen to play heading into the final few weeks of the season. After losing five out of six games before their current six game winning streak, the Rockets will be looking to put their mid-season blip behind them as the regular season comes to crunch time with both teams vying for slightly different objectives in the next three games but with all to play for with the post season approaching. 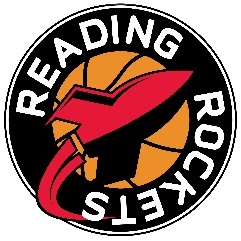 Reading Rockets (12-7) will be looking to extend their four game winning streak this weekend when they travel to the East Midlands on Saturday evening to take on Leicester Warriors (7-12) (5.30pm tip-off) before returning to Reading to host Derby Trailblazers on Sunday afternoon at Rivermead Leisure Complex, 5pm tip-off. Last weekend’s game against Kent Crusaders was pushed back 48 hours due to the severe weather but the Berkshire outfit wrapped up a hard fought 92-81 win on Monday evening to keep their hopes alive of a top four finish and home court advantage in the first round of the play-offs. I thought we did very well offensively against Kent on Monday and probably could have been even better but it was defensively that we need to look at and address this week because Leicester will play a similar way on Saturday and we need to make some improvements technically and tactically. Having said that, I was pleased we were able to win the game and keep up our decent form results wise but I know we can give more and that is what we will be aiming for this week. This weekend we play two teams that are fighting a different battle to us currently but that are both capable of upsetting the odds on the day. Leicester is a very physical, upbeat team and gave us a tough game at home, whilst Derby has a good roster and will be looking to return to winning ways. We will prepare for both teams thoroughly and make sure that we continue to work on our application leading up to and during both games. Rockets have a few injury concerns heading into this weekend’s double header with the team’s young trio of Alex Drincic, Adrian Nosa Castillo, and Iñigo Perez Baena all doubtful. 18 year old Drincic is out of action with tendinitis in his foot and Spanish point guard Iñigo Perez Baena will miss out through a broken nose. His Spanish counterpart will be a game time decision as the 6’5 guard/forward has an ankle complaint but may be fit in time for Saturday’s tip-off at Leicester Warriors. The Berkshire outfit will also be seeing the availability of Captain Danny Carter and may need to draft in cover for the 29 year old with this being decided before Saturday. Manuel Peña Garcés’ men won both the reverse fixtures against Leicester Warriors (75-70) and Derby Trailblazers (92-76) before the turn of the year and will be hoping they can make it six wins on the bounce this weekend as they put pressure on the top four in NBL Division One with seven games remaining.